Ayurveda is the science of life. It is an encyclopaedia of ancient medical wisdom. The object of Ayurveda is to counteract the imbalance of the three essential elements like – Vata (air), Pitta (bile) & Kapha (phlegm). These three elements constitute the tridosha from which the human body originates; the tridosha regularizes the normal functions of the human body. 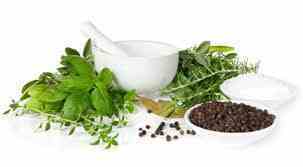 The modern world has started the appreciating value of herbal medicines and understanding the basic comprehensive philosophy of Ayurveda. They have already included traditional herbal medicine in their health programmes and used for treatment of their patients because of its better efficacy, less side effects and availability. To achieve better health for all only Allopathic system of medicine is not enough, existing others scientific system of medicines have also a significant role.Scientifically proved Ayurvedic and plant based medicines demand is growing up rapidly all over the world. So, it is time to integrate every medical system for being ensure rational and cost effective treatment of our nation. Government of Bangladesh has already included Ayurvedic & Unani systems of medicine in our national health policy, national drug policy; national development programmes and take necessary steps to appoint a large number of Ayurvedic & Unani physicians at different district & upazilla government hospitals. There are only one Government degree level Unani & Ayurvedic Medical College under the University of Dhaka and 07 Ayurvedic Diploma College in Bangladesh, Under Bangladesh Board of Unani & Ayurvedic Systems of Medicine. "Noor–Majid Ayurvedic College" is one of the best & renowned Ayurvedic Medical College in Bangladesh. So, if you are considering obtaining Government recognized practice registration to practice as an Ayurvedic physician or work as a researcher, you will need to study through a recognized college & obtain the recognized qualification. "Noor–Majid Ayurvedic College" strongly encourages all prospective students to enroll for the glorious & prestigious life by serving the ailing humanity of the country through the Ayurvedic system of medicine.